The Eventide Model H910 ®Harmonizer was developed by Eventide in 1974. 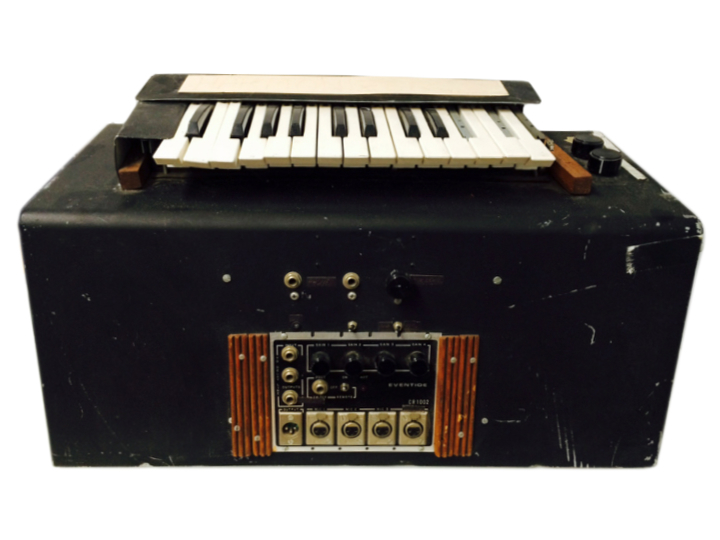 The Eventide Model H910 ®Harmonizer was the world’s first commercially available digital audio effects device. 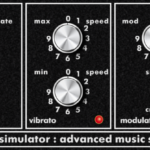 It combined ‘de-glitched’ pitch change with delay and feedback. It could be controlled by a keyboard remote control to instantly shift pitch in half steps. It featured a two octave range and up to 112.5 msec of delay. The combination of pitch change, delay and feedback opened up a new world of sonic possibilities which were exploited in the ground-breaking work by artists from AC/DC to David Bowie to Frank Zappa. The H910 was used to create the effects heard on records since the late seventies. The Eventide Model H910 ®Harmonizer was the first commercially available audio pitch change device and, in 2007, along with the Thermin, it was inducted in the TECnology Hall of Fame. While the Eventide Model H910 ®Harmonizer was ‘digital’ it was 100% software free – it pre-dated the earliest DSP chips by several years. It used digital logic and some of the earliest RAM memory to achieve delay but was, in large measure, an analog beast. It was designed before high fidelity audio analog to digital converters were available and necessitated that Eventide design its own custom conversion which played a significant part in the sonic quality of the Eventide Model H910 ®Harmonizer. The analog sections of the H910, including companding, filtering and analog feedback gave the unit a distinctive sound. While the user has plenty of pitch change plug-ins to choose from, none have the sonic footprint that results from the analog processing of the original Eventide Model H910 ®Harmonizer. When you purchase the H910 Harmonizer® plug-in, you also receive Eventide’s exclusive H910 Dual Harmonizer®. This version recreates the popular technique of running two H910 units in parallel to create lush doubling and other interesting effects.